With so many states along with the federal government not having enough revenue to pay for current services, if spending for the drug war were eliminated would this get them out of the hole? Gov. Rick Snyder’s budget proposal on Michigan film incentives is sending immediate aftershocks. 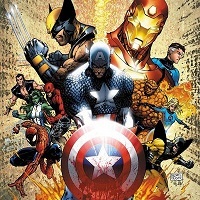 “The Avengers” — a big-budget Marvel superhero film featuring Iron Man, Captain America, the Hulk and others that was to be partially shot here this summer — has already decided it won’t be filming in the state, several people with connections to the film told the Free Press. The “Avengers” story echoes the buzz spreading through the local film industry that projects wanting to come here are either holding off on their plans or changing their locations to another state. Anxiety, uncertainty and anger are building in the metro Detroit film community over Snyder’s budget plan, which essentially would eliminate the current film tax incentive and instead call for $25 million in each of the next two years for future movie projects. The departure of the “The Avengers” project means a loss to more businesses than those involved with on-set duties. “We were currently in negotiations to work with them at some point during their stay,” said Scott Stinebaugh, director of sales and marketing for the Westin Book Cadillac. The film industry in general represented more than $1 million to the Book Cadillac in 2010, Stinebaugh said. If those opportunities go away, “it will be a devastating blow not just to us, but to all of the metropolitan Detroit hospitality community,” he said. To be fair to Snyder, it should also be noted that he is arguing that his proposed reductions in business taxes solve the problem which made it necessary to provide these breaks in the first place, but it does not appear that the movie industry is seeing it this way. Snyder is basing his tax policies on the argument that they will bring more business to Michigan, but he has failed here. The truth is that individual health insurance is not easy to get. I found this out the hard way. Six years ago, my company was acquired. Since my husband had retired a few years earlier, we found ourselves without an employer and thus without health insurance. My husband, teenage daughter and I were all active and healthy, and I naïvely thought getting health insurance would be simple. Why did we even need insurance? First, we wanted to know that, if we had a medical catastrophe, we would not exhaust our savings. Second, uninsured patients are billed more than the rates that insurers negotiate with doctors and hospitals, and we wanted to pay those lower rates. The difference is significant: my recent M.R.I. cost $1,300 at the “retail” rate, while the rate negotiated by the insurance company was $700. An insurance broker helped me sort through the options. I settled on a high-deductible plan, and filled out the long application. I diligently listed the various minor complaints for which we had been seen over the years, knowing that these might turn up later and be a basis for revoking coverage if they were not disclosed. Then the first letter arrived — denied. It never occurred to me that we would be denied! Yes, we had listed a bunch of minor ailments, but nothing serious. No cancer, no chronic diseases like asthma or diabetes, no hospital stays. Why were we denied? What were these pre-existing conditions that put us into high-risk categories? For me, it was a corn on my toe for which my podiatrist had recommended an in-office procedure. My daughter was denied because she takes regular medication for a common teenage issue. My husband was denied because his ophthalmologist had identified a slow-growing cataract. Basically, if there is any possible procedure in your future, insurers will deny you. The broker then proposed that the three of us make individual applications. Perhaps one or two of us might be accepted, rather than the family as a group. As I filled out more applications, I discovered a critical error in my strategy. The first question was “Have you ever been denied health insurance”? Now my answer was yes, giving the new companies reason to be wary of my application. I learned too late that the best tactic is to apply simultaneously to as many companies as possible, so that you don’t have to admit to a denial. When faced with situations such as this, many go without insurance while others wind up with expensive, high deductible policies which often provide limited coverage. While one of the more worst examples, earlier this month I had a patient come in with a newly purchased health insurance policy which had an annual limit of $150 in coverage. Health care reform is not a “government take-over of health care” as conservatives claim. It is a reasonable act of government stepping into an area to provide necessary regulation when the market has failed.